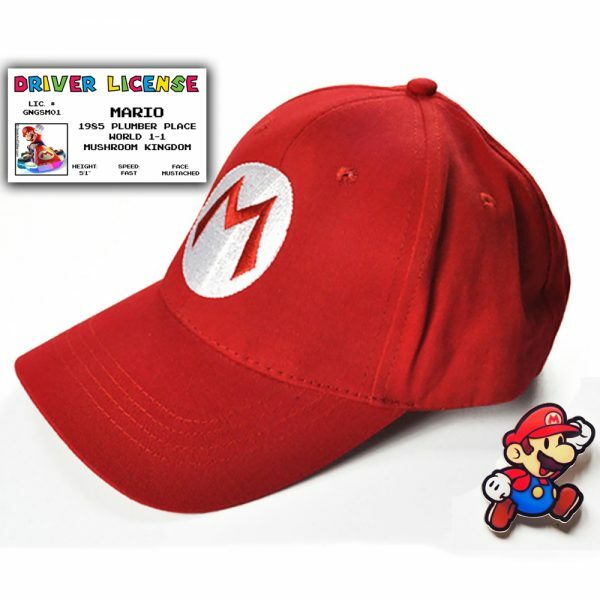 Give the perfect gift for any Super Mario Bros fans. Our exclusive set includes a Mario baseball cap, Mario Kart Driver’s License and a Mario pin. 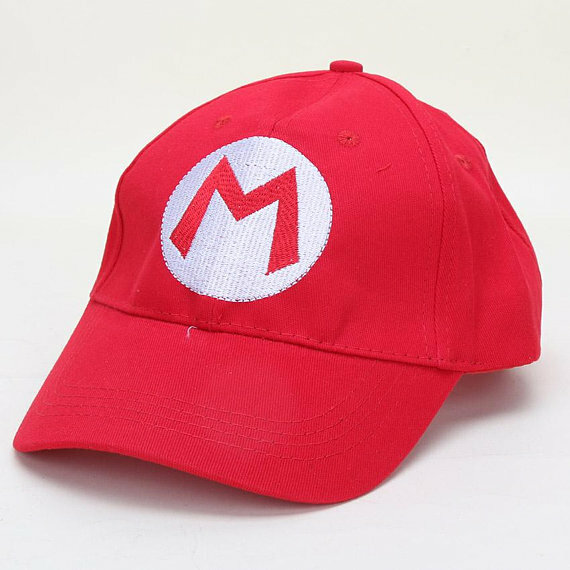 The high quality red hat with the classic M on the front with the words “Super Mario Bros” on the back. Adjustable so it fits both adults and kids. Any Nintendo fan will recognize this instantly. 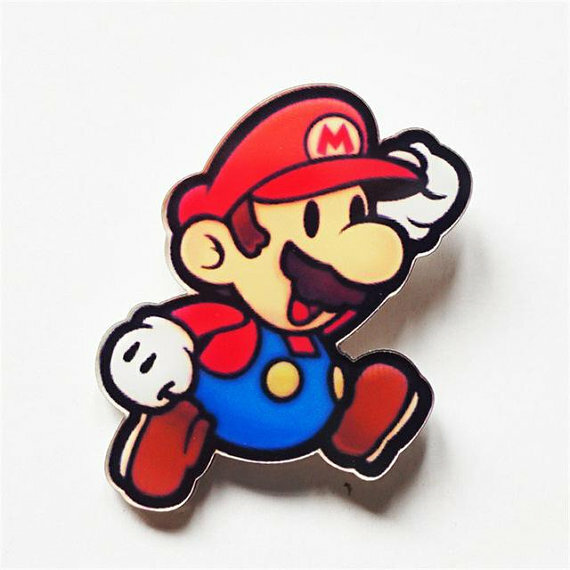 The adorable pin with the Paper Mario look measures 2″ x 2″. 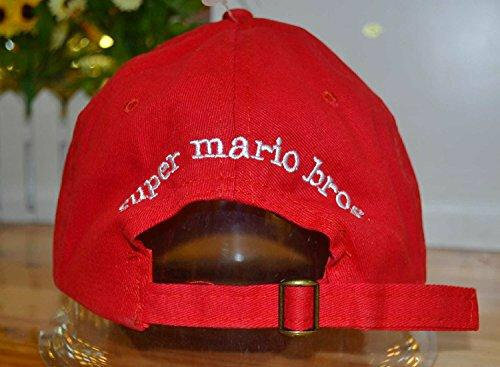 It has a safety clasp on the back so you can attach to a backpack, shirt or anywhere else you want to show off your Mario pride. Our exclusive Mario Driver License was created using a translucent plastic material which looks futuristic and fun. 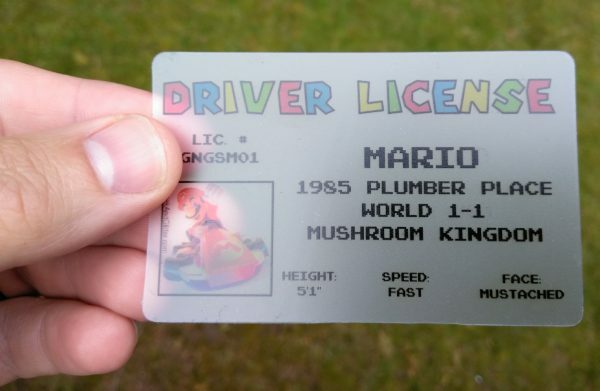 Ideal if you plan on driving around the Mushroom Kingdom, you don’t want to get pulled over by King Koopa’s minions! All of these items were made using the highest quality materials available. They will last for many years to come.